Sadly, Vanessa is leaving us to return to the warmth of Australia, which means we are on the hunt for an experienced and enthusiastic PR and marketing manager to manage all Public Relations activities for LBA. Reporting directly to the company directors, the person should be outgoing, highly organised and passionate about architecture and the built environment. Your role will be to define and implement the company’s marketing and communications strategy, providing new business support, coordinating PR, leading on client facing events, and managing the company literature, website and social media platforms – you will become the voice of LBA. At LBA we strive to achieve the highest level of inspired architectural design solutions for our clients, whilst also providing a professional and attentive service from project inception through to completion. We believe in building strong client & consultant relationships and all our appointments to date have been from repeat business or referrals, therefore excellent communication and people skills are key. We offer employees a friendly and creative studio environment in which to work. The culture of the practice is focused on providing a work/life balance, flexible working, employee benefits and support in career progression. We also pride ourselves in offering a competitive salary, group life cover and a performance-based bonus package. Our practice is thoughtfully balanced with a low turnover of staff. We encourage ambition, enthusiasm, initiative, and creativity and will support and inspire you to develop your career within LBA. The practice is at an exciting stage and we are looking for a key member of staff to join us on our journey. We have exciting plans for the future! An honours degree, a Masters degree, the Part 3 examination - finally an Architect. Our talented Samantha Murchie becomes LBAs newest architect after passing her professional exams! Following my Honours and Masters degree at Edinburgh University, completing my Part 3 and becoming an Architect has always been my goal. In order to sit the Part 3 exam, you must have a Part 1 (Honours degree), a Part 2 (Masters degree) and a minimum of 24 months of logged experience in practice. To fulfil the experience required, graduates typically wait 1-2 years following their graduation, prior to embarking upon their Part 3. However, as I had built up experience in practice during my placement year at university and summer placements, I was determined to begin my Part 3 studies as soon as I could. The Part 3 exam consists of continuous studying over one year – while working full time in practice. Of course, the time associated with juggling the two is very challenging, having to get home from work and begin studying most evenings. The notorious 48-hour exam remains a key aspect of the course with many horror stories associated. One week before the exam, a document is released to the candidate detailing a hypothetical architectural practice for which the candidate ‘works’ as an architectural assistant. The exam is office based – I sat the exam in LBA’s private meeting room -, open book and encourages the candidate to communicate with consultants as required – as you would do in practice. The exam consists of 10 lengthy scenario-based questions which largely involve a significant issue that has occurred on a hypothetical project (creating 2 very bad days at the hypothetical office). Time keeping is essential and the exam has raised concern as many candidates work through the night to complete the exam. I spent 14 hours on the first day and 16 hours on the second day – of solid exam work – and while it was extremely challenging, the rewarding feeling soon took over. It’s then a long wait from November, over Christmas, until February for the oral exam. Prior to the oral exam, the candidates have a chance to review their exam answers and the oral exam provides a chance to show your knowledge and answer any queries from the examiner regarding any of the 5 components listed above. Two days after the oral exam, the results were released on a Friday morning – making for an excellent weekend! My time at LBA has allowed me to gain experience across all work stages and thus highly develop my professional skills. 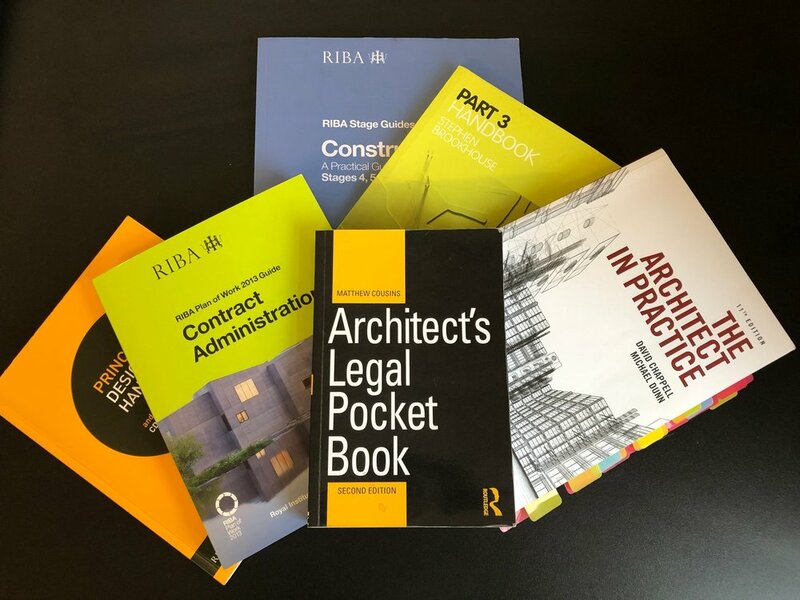 My Part 3 studies allowed me to develop my understanding of contractual proceedings and apply them in practice, which has been very rewarding. I couldn’t be happier with the support I’ve had from all of my colleagues at LBA who have helped me to achieve my goals and I can’t wait to see what my future career as an Architect will bring! Are you looking for career progression in an energetic and ambitious practice whilst gaining invaluable experience in all aspects of architecture, design and construction? 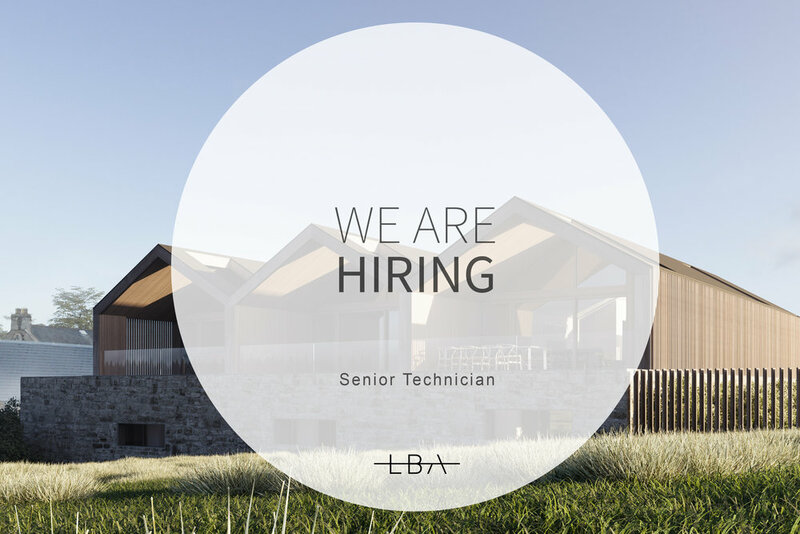 If so, LBA are seeking an experienced, organised and motivated Senior Technician to join our thriving and award-winning team working on a range of exciting projects. The role will primarily involve the delivery of large scale residential, hotel and commercial projects including the production of technical packages for warrant through to construction and delivery on site. This role will vary from a supporting one to a leading one at the various stages of a project. Candidates should have a minimum of 10+ years relevant experience, exceptionally advanced technical knowledge and an appreciation and ability to deliver high quality design-led schemes at £10m + in value. Experience of delivering a wide range of construction methods and working with BIM, (preferably ArchiCAD), is essential. If you would like to be part of our LBA team, please send your CV including examples of your work to jointheteam@studiolba.co.uk. Please do not send any external links with your application as we will not be able to open these. Our Managing Director, Lynsay Bell Manson features in the latest blog piece by The Great Scottish Indoors. Head over to their website to have a read of the full article and see the amazing space LBA created.